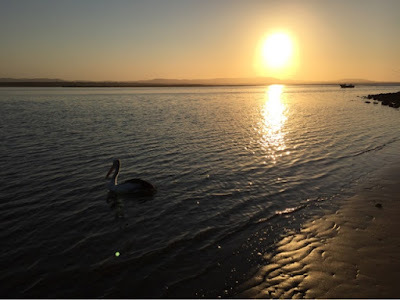 In my Aussie Adventure research I had read and heard a must is the town of 1770, or as its official name is written Seventeen Seventy because it is so beautiful and one of the rare west facing beaches in Queensland. It has a permanent population of just under 80, that swells dramatically during holiday time and is situated on the southern end of the Great Barrier Reef. According to Wikipedia this is how the town gets its name. 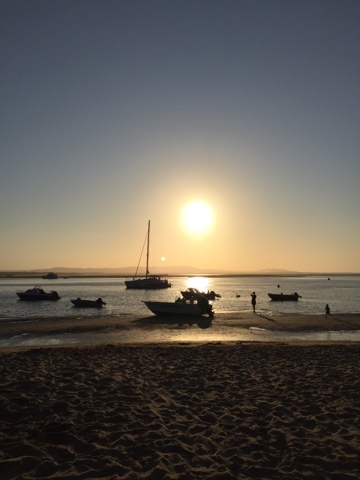 I definitely agree it does look very nice and last night there was a pretty amazing sunset, but next time my visit won't be at the end of school holidays, on a Queensland long weekend and the night of the Rugby Grand Final when the both teams are from Queensland. The noise levels and excitement of the occasion didn't bother me at all because I was interested in the outcome of the game. 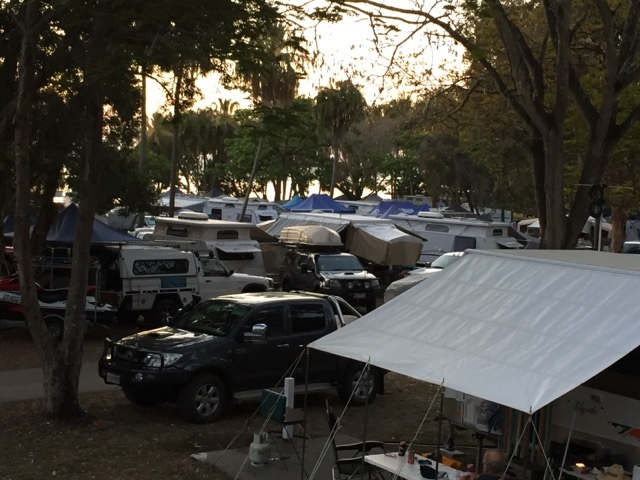 But, there are just so many people here, I think most of Central Queensland have headed to this part of the world for the week/weekend!!!!! When we booked in we got the very last site available and it's a pretty big park. (We very rarely pre book where we want to stay, because we keep changing our mind where we are heading). Plus there are two families camped next to us, that seem very nice but OMG one of them can snore. I walked down to the toilet block and I could hear him three camps away. So that's why I'm sitting outside Myrtle at 6.30am listening to the birds, the garbage truck empty all the bins from this towns busy weekend and watching as the camper rise, have breakie and start packing up for their trip home. I have a feeling around 9.30/10ish there may be abut of a mass evacuation while everyone heads home. It's really funny what people are like around our country. Not to generalise but I find that people that are travelling in groups or are just away for a week or weekend don't tend to greet you easily, or sometimes even want to make eye contact as people who are on the road for months plus at a time. Long term travellers make eye contact metres away from you and not only is a good morning exchanged but more often than not a small (or sometimes long) conversation takes place. I find after I have been out on the road travelling for a while and I get back to the city I find out of habit I am saying hello to complete strangers on the street. Sometimes I get a hello back but sometimes I get a look of "who is that crazy lady talking too". Wouldn't it be nice if we could all greet at least one stranger everyday with a hello!!!! You never know it could be the only hello and smile they get for the day.